According to LA Weekly and State Assemblyman Nazarian (D, San Fernando Valley), eradicating bed bugs can cost anywhere from $400 to several thousand dollars. This is a heavy burden for anyone, but it can seem astronomical to lower-income renters. Our San Francisco bed bug lawyer stands ready to help renters afflicted with bed bugs in section 8 housing when landlords fail to live up to their legal duties. We are also prepared to file bed bug class actions on behalf of tenant groups in either Section 8 or traditional rental units. In April 2012, the U.S. Department of Housing and Urban Development (“HUD”) issued Notice H2012-05. Notice 2012-5 is intended to clarify the best practices for preventing and controlling infestations in HUD insured and assisted multifamily properties. HUD suggests that owners and management agents (“O/As”) develop and implement an Integrated Pest Management Plan (“IPM”) that focuses on prevention as a primary tool in the bed bug battle. 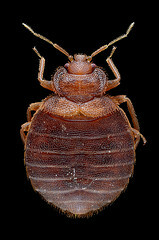 Although it is presented as a suggestion rather than a requirement, the Notice recommends that O/As train staff on bed bug identification, take ongoing steps to prevent infestation, engage and educate resident on bed bug issues, and provide orientation materials to both staff and residents regarding bed bugs. Tenants are urged to cooperate by maintaining living environments that help prevent infestations including avoiding unreasonable clutter that can provide hiding spaces for insects. When it comes to an actual infestation, tenants are urged to act as “the first line of defense” by immediately reporting a suspicion of infestation. However, the Notice clearly places the primary burden of dealing with an infestation on the O/A. According to HUD: “The O/A should respond with urgency to tenant reports of infestations…. [and] should endeavor to take appropriate action within a reasonable time period.” Residents must cooperate with these efforts, allowing access to their unit as necessary to facilitate bed bug eradication. For Section 8 renters, the answer may be a bed bug class action. In fact, a class action may be the best tool for renters in non-Section 8 housing as well. Although there are substantial differences between federal class actions and class actions in California state courts, the basic reason for the class action remain the same. Class actions allow the claims of many to be resolved in a single economically-efficient lawsuit. Class actions are particularly helpful in cases where the amount each person is likely to recover is relatively low as may be the case when dealing with bed bugs. For example, as reported by the Des Moines Register, a group of low-income renters in Iowa received a $2.45 million settlement with individual tenants receiving between $200 and $11,000. If you are a Section 8 renter in California and believe your rights and the rights of your neighbors have been violated, call our bed bug class action law firm in San Francisco, Oakland, or Santa Rosa. We also welcome calls from tenants and tenant groups in other Northern California rental properties afflicted by these damaging pests.